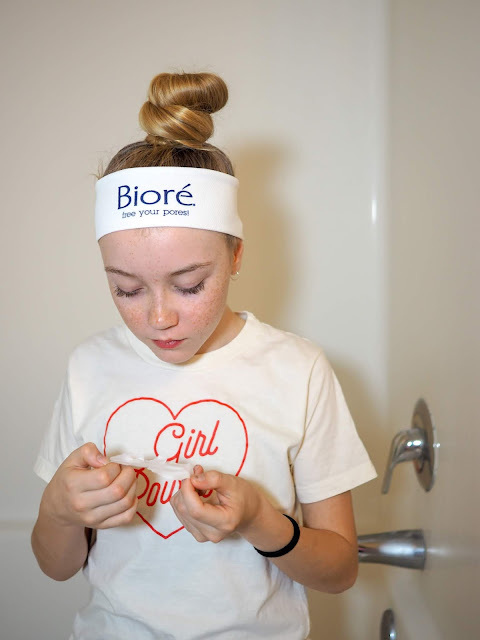 Now, there are plenty of different products on the market when it comes to clearing pores, but Bioré Pore Strips are the original and the best. Bioré Witch Hazel Ultra Deep Cleansing Pore Strips are my favorite. Formulated with witch hazel, which has long been known for its natural astringent properties, these pore strips are a like a two in one. The strips remove all the gunk from clogged pores and the witch hazel helps minimize the appearance of pores. Hooray! Both Ava and I gave the pore strips a try and it was quite satisfying to see how much came out of our pores. It was a fun bonding activity to do together too. I'm thinking we might have to make it a weekly ritual. Ava's pores aren't quite as congested as mine so while the strip did remove a lot of gunk from her skin, it wasn't as much as she had expected to see from watching YouTube videos. My pore strip definitely made up for it! 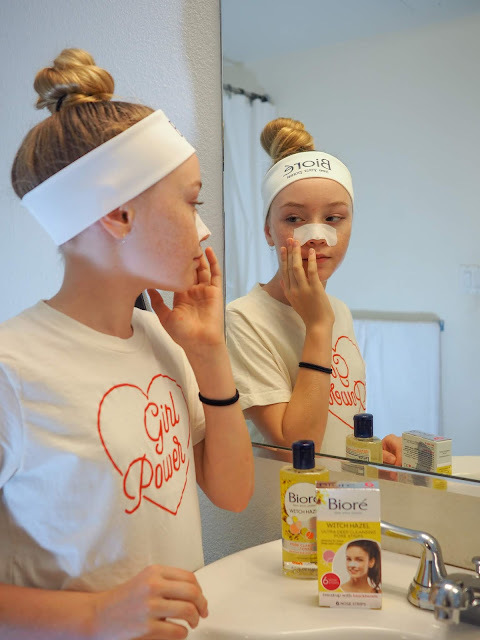 Spot the difference in her facial expressions as she checks out the used pore strips. Ha! Guess which one was mine! 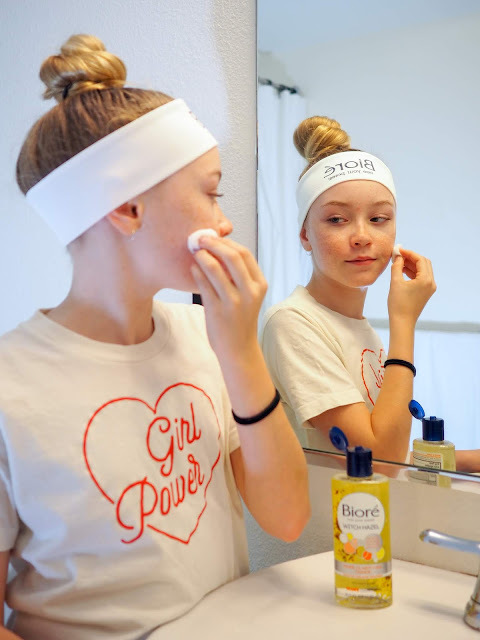 Along with the pore strips we gave Bioré Witch Hazel Pore Clarifying Toner a try. I can remember buying witch hazel from the pharmacy when I was younger and using it as a toner for my acne prone skin. It did the trick, but kind of stung - like, a lot! 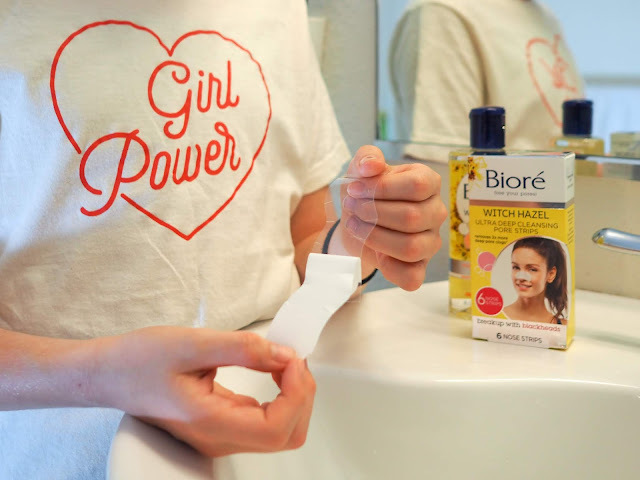 Bioré Witch Hazel Pore Clarifying Toner feels a lot more gentle than the witch hazel of my past, but with the addition of salicylic acid, this toner works wonders on congested skin. Ava and I have both made it a part of our daily skincare routine. 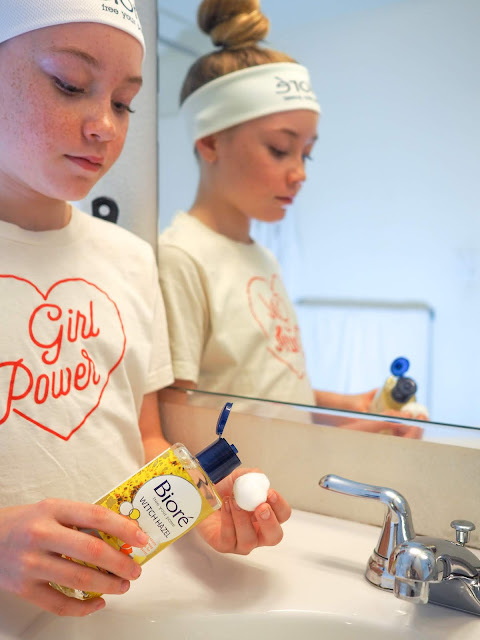 Keen to try these great Bioré Witch Hazel products for yourself? Of course you are! You can find them both online at walmart.com. At just $8.47 for the pore strips and $6.47 for the toner they're an affordable addition to your skin care routine.